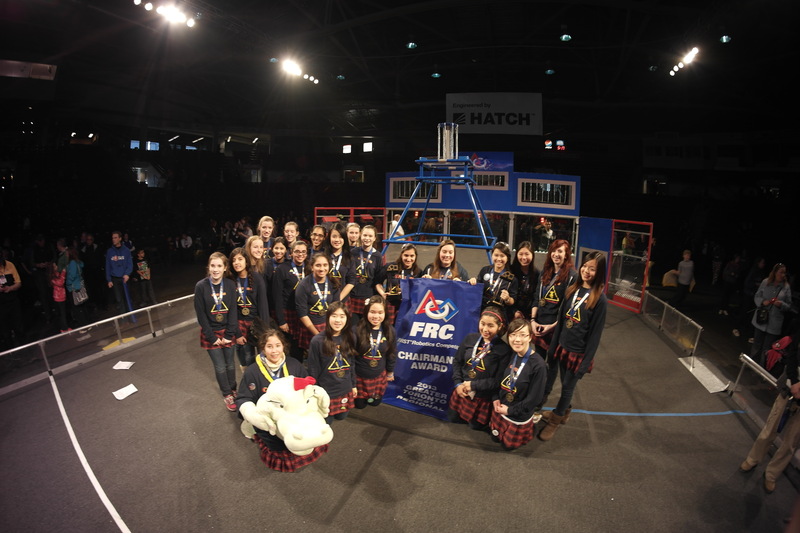 “It’s always been about more than the robot — it’s about challenges, teamwork and camaraderie. 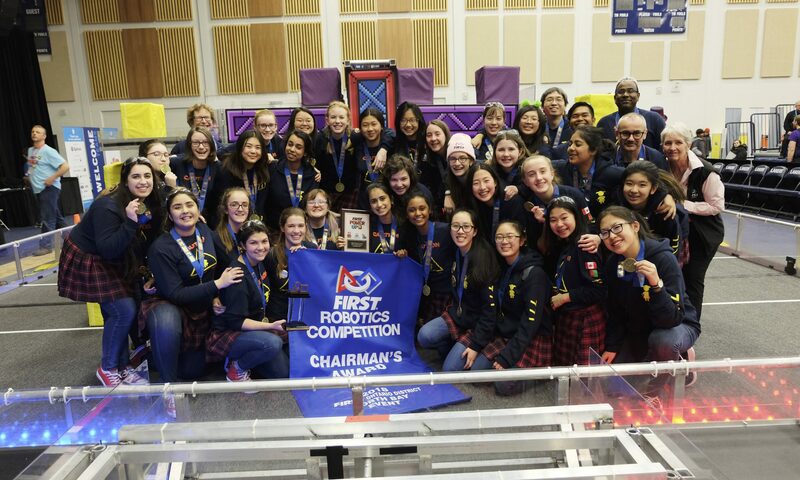 That has perhaps never been more true than with the blending of two competitive all-girls robotics teams, one from Afghanistan, the other, St. Mildred’s Lightbourn School’s SWAT 771 team. Both are comprised of intelligent, science-loving teenagers. Both teams have brought medals and pride to their respective countries. Also, SWAT 771 and the Afghan Dreamers have been featured on the Ryerson website, Torontolife, and an interview on the Edge. 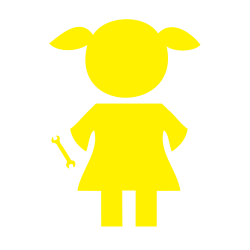 In 2017,theysigned an online petition when an all-girlsroboticstea mfro m Afghanistan was originally denied entryto co mpete at a FIRST Robotics Co mpetitioninthe United States. “ We felt this affinity,” Sils says oft he team’s reaction. “How dare they ban such a noble cause? This is not OK!”The Afghan team called the Afghan Dreamers, was eventually allowed to compete in the United States. Students at St.Mildred’s have maintained the connection….Read more here. Staff at VPtv interviewed one of our rookies at DCMP about SWAT’s inreach and outreach regarding girls in STEM. 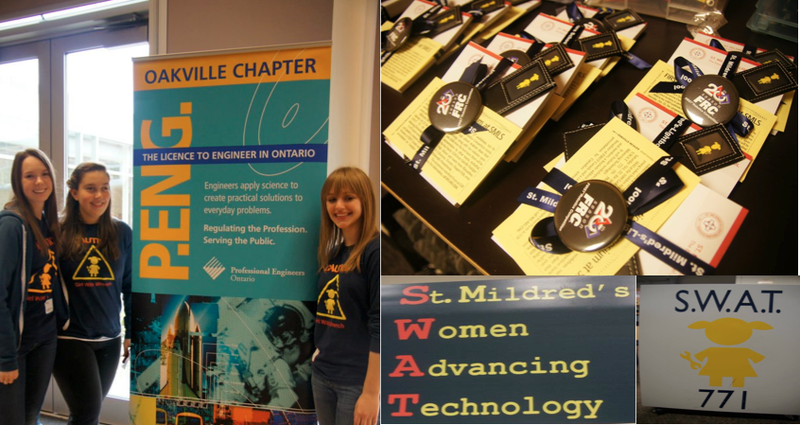 After discovering St. Mildred’s-Lightbourn School’s robotics program in 2011 and getting involving in the FIRST Robotics Competition (FRC), former SWAT members Jessica and Melanie Miller quickly found their niche on SWAT’s business team, becoming the club’s first student leaders. After many business plans, numerous financial statements, and countless marketing strategies, the Miller twins were soon able to lead SWAT’s business team to victory, winning the Kleiner Perkins Caufield & Byers Entrepreneurship award three times in 2013 at various FRC regionals across North America. 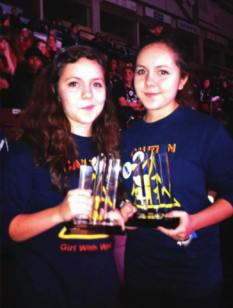 However, their success did not stop there; through the team’s connection with Cisco Canada, Jessica and Melanie went on to jointly receive the Cisco FIRST Robotics Scholarship from the University of Toronto for their contribution to robotics. They are now taking Materials Engineering at U of T, and hope to continue exploring the powerful fusion of entrepreneurship and engineering. 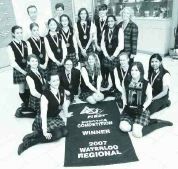 “A little more than a decade ago, a group of girls from St. Mildred’s-Lightbourn School in Oakville, Ont., arrived at a FIRST Robotics competition in Mississauga and ran headlong into the type of gender stereotyping the school is working to overcome. “Are you the cheerleaders for your team?” a group of boys from another school asked them. 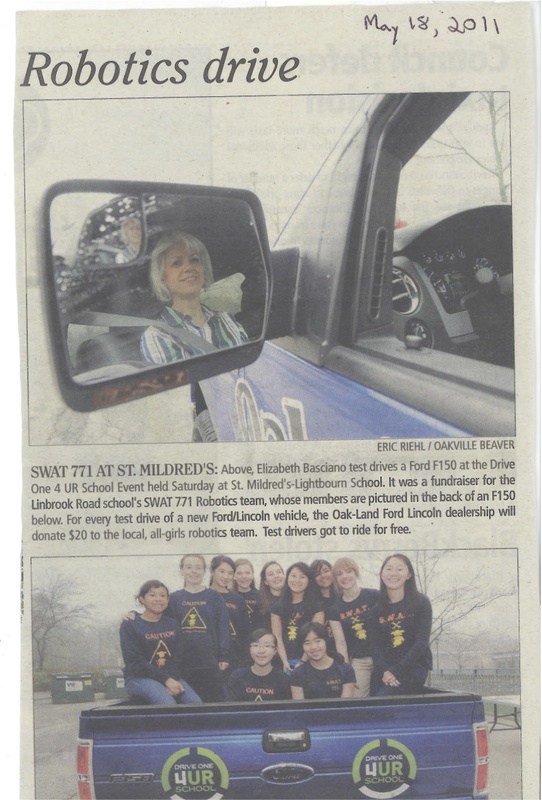 The FIRST Robotics Team, SWAT 771 at Oakville’s St. Mildred’s-Lightbourn School is excited to be participating in their schools annual SMiLeS March Break camp. 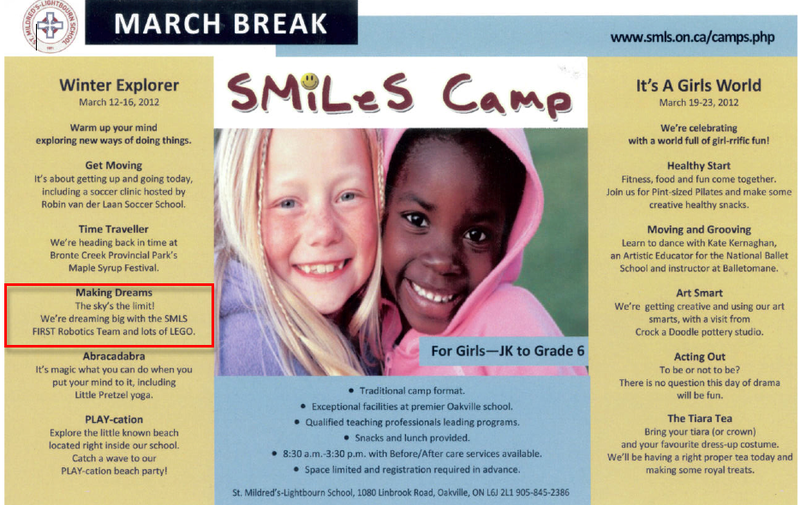 SWAT has created a innovative and fun filled agenda for its March Break campers to engage in. These activities will help introduce the young members of their community to the world of science, technology and FIRST. In previous years SWAT has run their robotics camp over the summer and are looking forward to another year of enthusiastic SMiLeS campers! 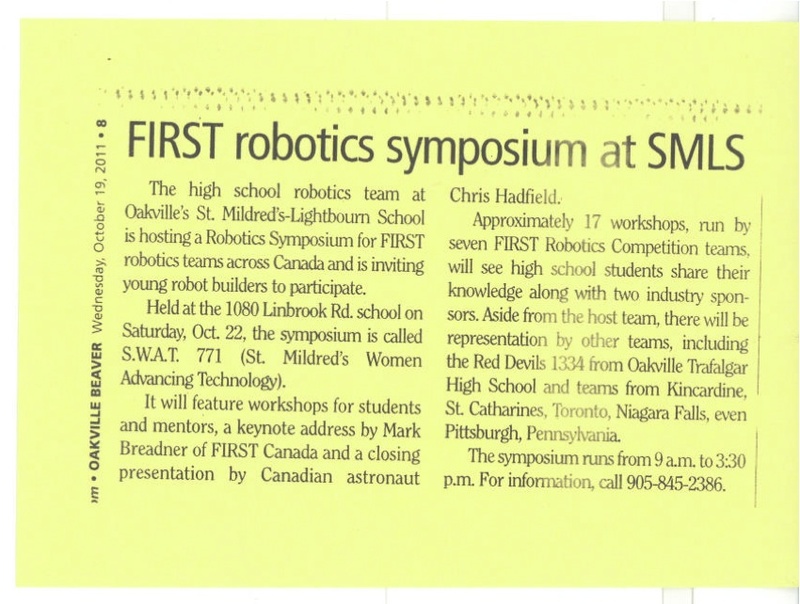 The high school robotics team at Oakville’s St. Mildred’s-Lightbourn School is hosting a Robotics Symposium for FIRST robotics teams across Canada and is inviting young robot builders to participate. Held at the 1080 Linbrook Rd. school on Saturday, Oct. 22, the symposium is called S.W.A.T. 771 (St. Mildred’s Women Advancing Technology). 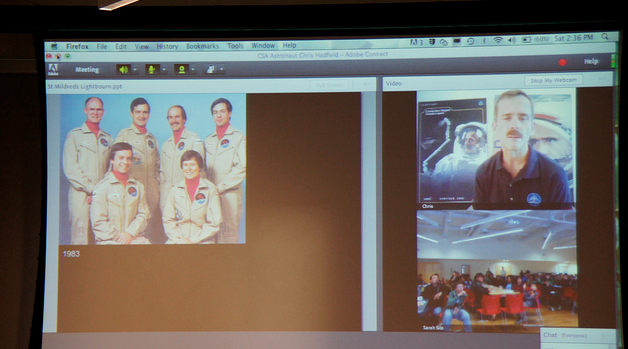 It will feature workshops for students and mentors, a keynote address by Mark Breadner of FIRST Canada and a closing presentation by Canadian astronaut Chris Hadfield. Approximately 17 workshops, run by seven FIRST Robotics Competition teams, will see high school students share their knowledge along with two industry sponsors. Aside from the host team, there will be representation by other teams, including the Red Devils 1334 from Oakville Trafalgar High School and teams from Kincardine, St. Catharines, Toronto, Niagara Falls, even Pittsburgh, Pennsylvania. The symposium runs from 9 a.m. to 3:30 p.m. For information, call 905-845-2386. The Drive One 4 UR School Event was held Saturday at St. Mildred’s-Lightbourn School. It was a fundraiser for the Linbrook Road school’s SWAT 771 Robotics team. 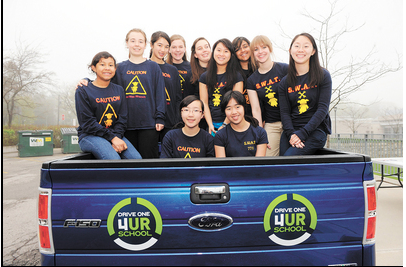 For every test drive of a new Ford/Lincoln vehicle, the Oak-Land Ford Lincoln dealership will donate $20 to the local, all-girls robotics team. Test drivers got to ride for free. SWAT was featured on TVO Kids in November 2012. When SWAT attended Robot Rules a SWAT member was interviewed by Drew from “The Space” on TVO Kids. You can find this interview on the TVO kids website (a link can be found below) in a video called “Drew Hangs Out At Robots Rule”.